When thinking of furnishing our house we often overlook the curtains. Curtains are basically needed to be addressed as they highlight the other components of the space. The presentation of the interiors may start with paint or furniture and definitely ends with curtains. Hence it is important to use right window curtains which match the style and theme of the living room or other rooms of the house. One need not worry about the cost factor as there are curtains available in many varieties suiting everyone’s budget bracket. Not just curtains, pairing up them with perfectly suitable blinds can bring a new transformation to the entire house. Using same design and colored curtains in all the rooms will surely diminish the aesthetic appeal of the house. As every room is differently structured, the curtains should be different so that each and every space looks bright and has its own charm. 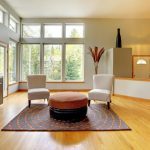 Let us have a look at some of the ideas related to curtains which can help you in decorating your house in a stylish manner. Living room: It is the place where we love to relax and spend time with rest of the family members. The ambience has to be stylish and comforting, which can be done by using light colored curtains. There are plenty of fabrics that one can choose from depending on the climate. In order to separate the lounge area from the living room, one can go with the blinds as per their preference. For instance, wide blinds can be one option that can be considered. While purchasing curtains, make sure you are buying a suitable match for your living space. Long silk drapes of curtain: If you wish to have a lavish look for your bedroom then silk works the best for the windows. Long curtains: Bedrooms are meant for enjoying a cosy time, and long curtains from the top of the windows till the floor would give a romantic appeal to the space. Try to go for darker shades which can add a character to the room. Simple blinds: One can even use blinds for the bedroom windows that can actually bring a unique and lighter element to the space. Patterned curtains: Instead of going with plain colored ones, patterned fabrics go well with the interiors of the bedroom. Kitchen area: It is better to keep the kitchen area simple which can be done using vertical blinds. Curtains can get spoiled while cooking in kitchen so blinds work the best. They require low maintenance and can even match any style of the kitchen. 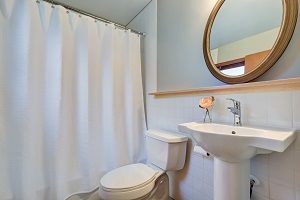 Bathroom: Usually, not many of them like to have curtain in the bathroom spaces. However, blinds can add a unique touch to the space. You need to be careful while choosing something for the bedroom windows. Many people get confused when they have to select curtains or blinds to improve the look of their home. Well, you can browse online and check out some pictures to get the idea of what exactly is required. In addition to this, the above mentioned tips can also make your purchasing simpler. You can even seek the help from the experts in buying suitable fabrics. The stylish curtains are a great way to add glamour and personality to a room. Good luck for your home! The stylish curtains are a great way to add glamour and personality to a room. Curtains are basically needed to be addressed as they highlight the other components of the space. This entry was posted in Home Improvement and tagged Colored Curtains, curtains, curtains and blinds, Curtains Ideas, Decorating your House, Furnishing, Light Colored Curtains, Long Curtains, Purchasing Curtains, stylish curtains, window curtains. Bookmark the permalink.